The easiest way to assure that you can get a fire started in an emergency situation is to always have fire starting equipment with you. There are numerous primitive ways to start fire which we will discuss in subsequent posts, but for heaven’s sake, how hard is it to carry a disposable lighter in your pocket? Even if you don’t smoke, carry a lighter. I keep a lighter in my pocket and two lighters in each of my vehicles. Another good thing about a disposable lighter is that you can use it to start fires even after it is out of fuel. 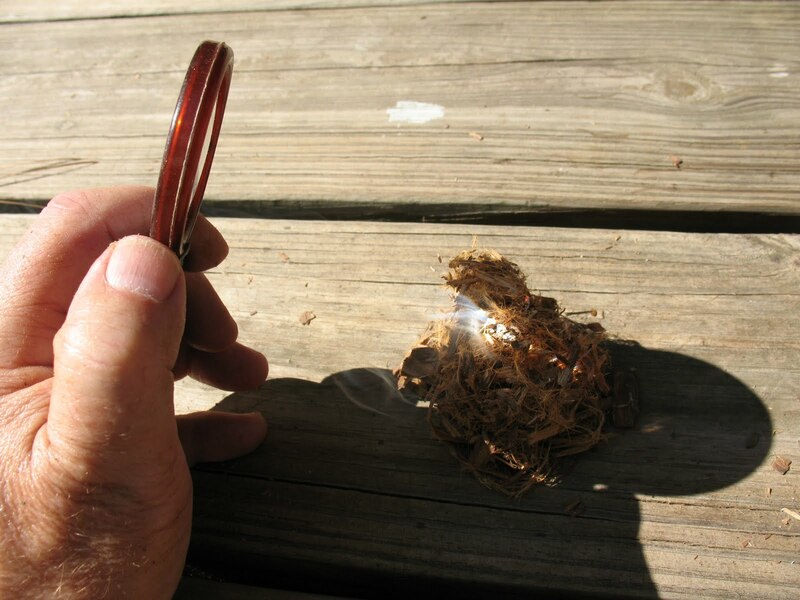 The spark produced by an empty lighter is hot enough to ignite finely shredded tinder. Pictured below: Disposable lighter. 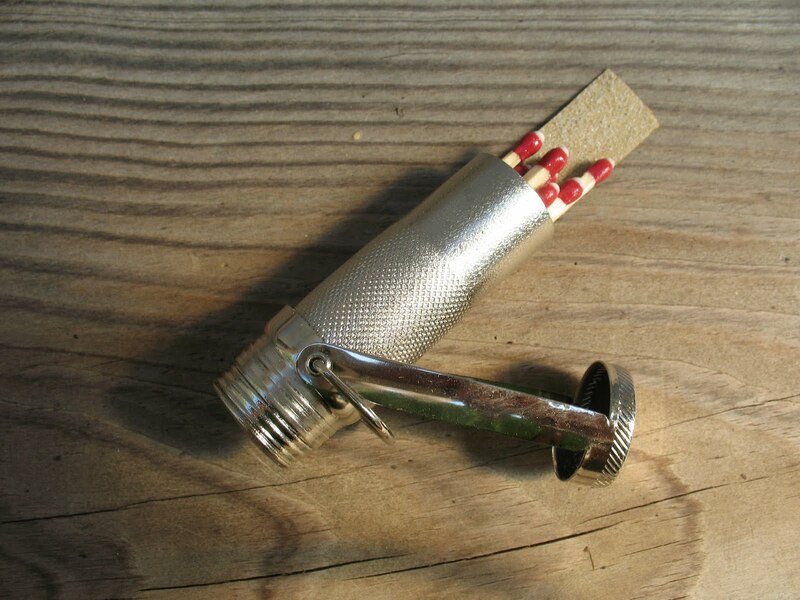 Another handy device is the hot match. 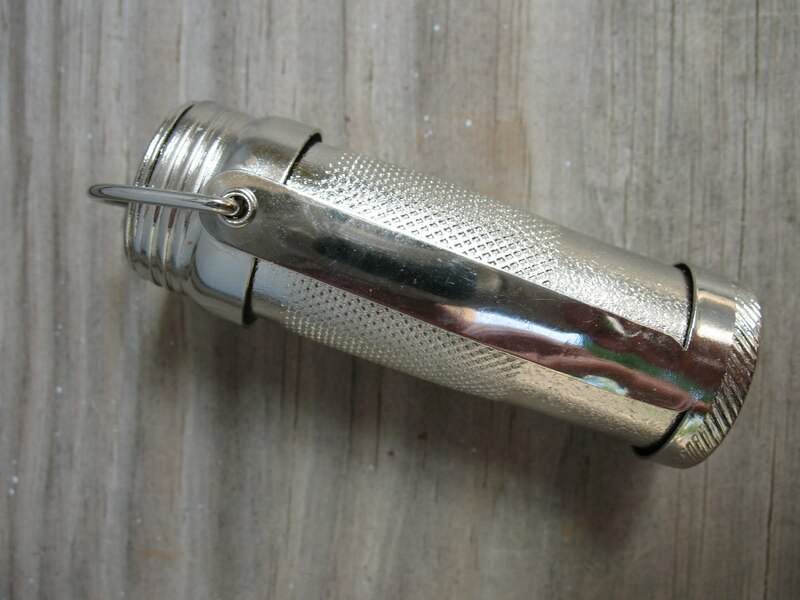 The hot match is a metal rod that emits a shower of sparks when you drag a knife blade down it. I carry one that has a plastic finger grip with a hole in it. 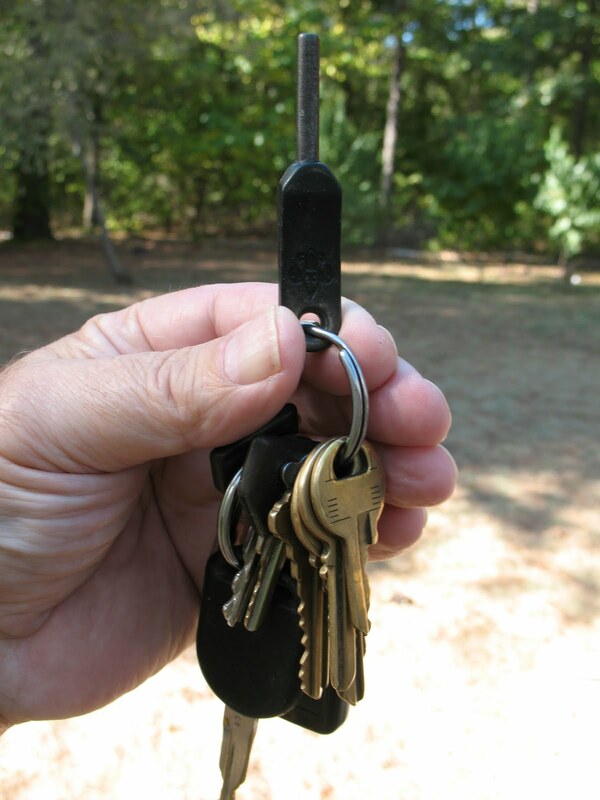 It fits easily on a key ring and is virtually unnoticeable. I’ve had the one I carry for years and used it to start many fires. Pictured below: Hot match on key ring. 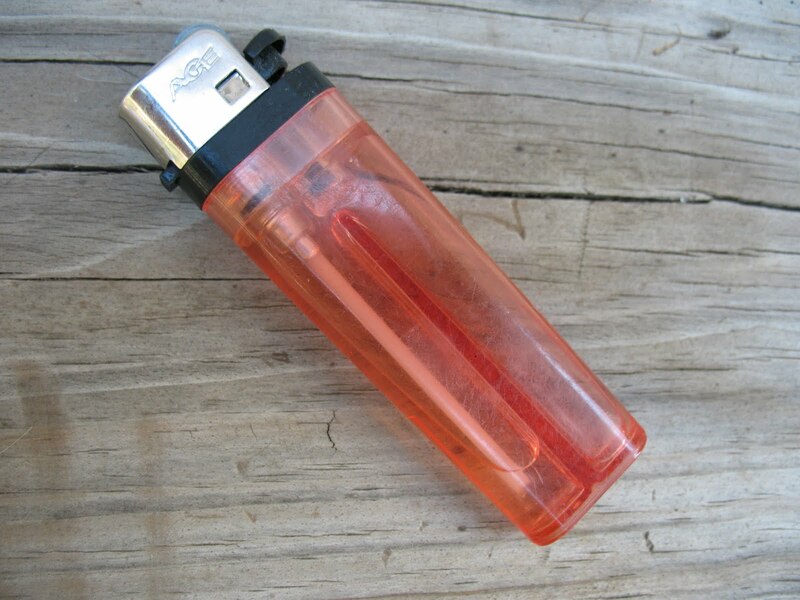 A similar but more bulky fire starter is widely available at sporting goods stores. 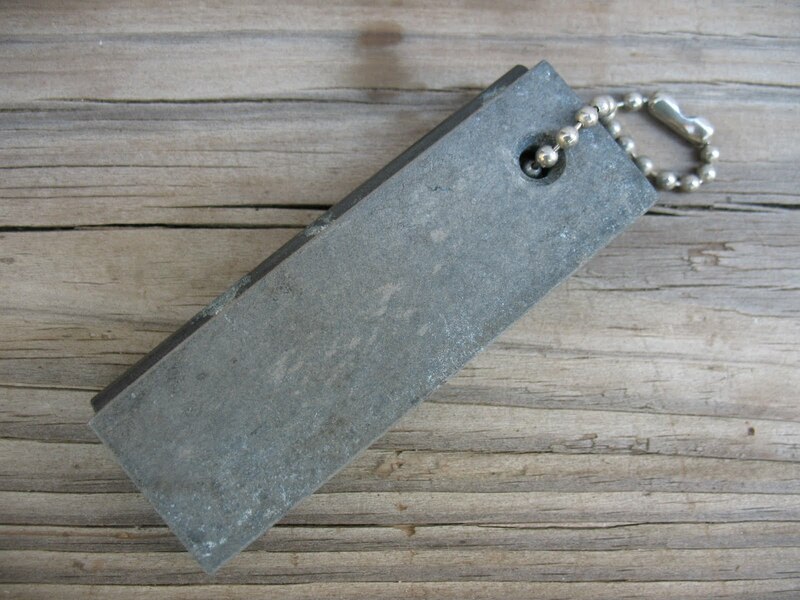 This starter is a small bar of magnesium with a striker embedded along one side. To use this starter you take a pocket knife and shave magnesium off of the bar into a small pile. You then drag your knife blade down the striker, directing the sparks into the pile of magnesium shavings which will ignite with a white-hot burst of flame. The advantage of this fire starter is that the magnesium burns so hot that it will ignite fairly course tinder or tinder that is slightly moist due to high humidity. Pictured below: Magnesium fire starter. Of course the old stand-by for starting a fire is matches. 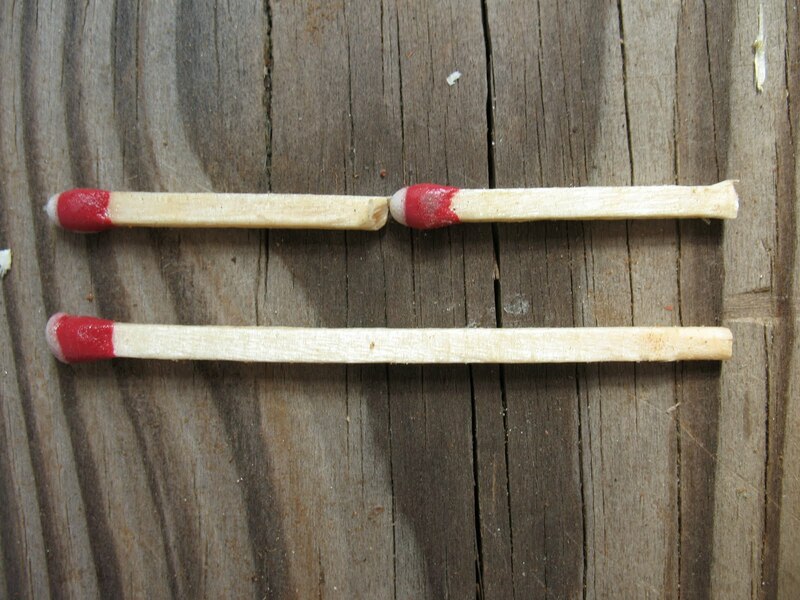 Be sure that you are using strike-anywhere matches and not the strike-on-box matches that are more common. Matches should always be carried in a water-proof container, and even then I like to water-proof each individual match by painting it with clear fingernail polish. 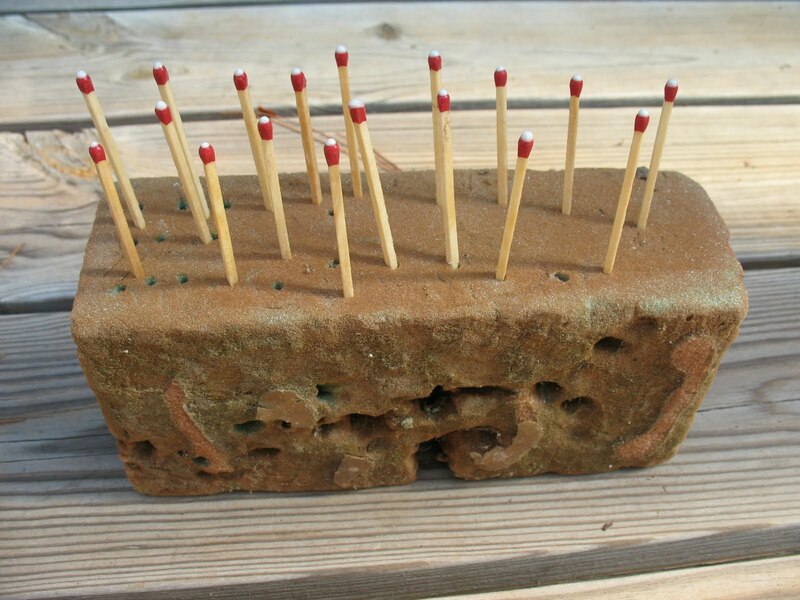 After I paint the matches I stick them in an old piece of florists foam to dry. If you are really confident in your fire starting abilities, you can cut your matches in half. This way you can double stack them in the match container and have twice as many fire starters. I also include a small strip of medium grit sand-paper in my water-proof container. This will assure you of having a surface that you can strike your matches on. Matches that are painted with clear fingernail polish and kept in a water-proof container will keep for years. 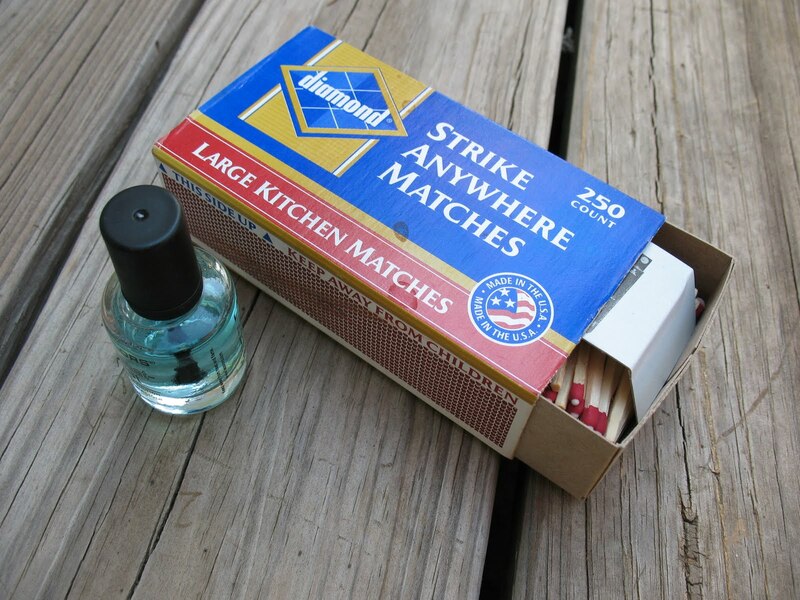 Pictured below from top: strike-anywhere matches and clear nail polish, painted matches drying, matches cut in half, matches and striking strip in water-proof container, container of matches closed. One reliable device for fire starting that will last indefinitely is the magnifying glass. Magnifying glasses have been used for centuries to start fires. They were commonly carried in the 19th century. 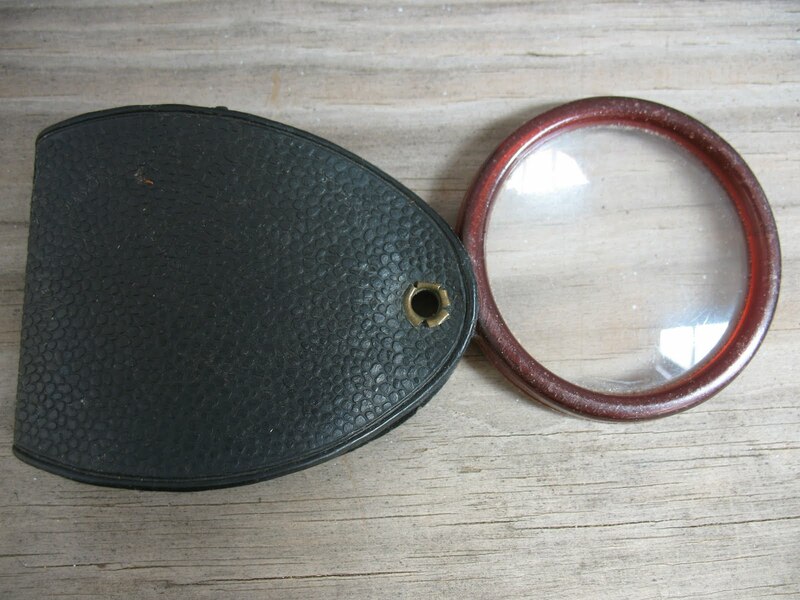 I have an old survival kit that my father carried in WWII and it has a magnifying glass in it. 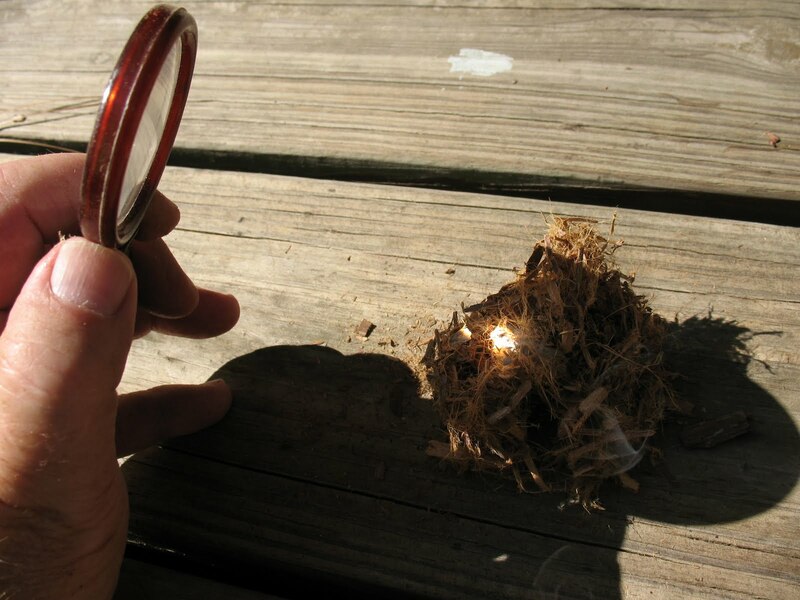 The magnifying glass is used to focus the Sun’s rays into a bright white dot that is aimed into a bundle of finely shredded tinder. Depending on the intensity of the Sun’s light you may to be able to ignite a tinder bundle in as little as fifteen or twenty seconds. Of course the big drawback to a magnifying glass is that you must have sunlight. If it is night time, if the Sun is too low in the sky, if you are under dense foliage, or if the day is cloudy, a magnifying glass is of no use. But considering the small size of a glass it is a good thing to include in your survival gear. You can start your fires with the glass when conditions are right and save matches and lighter fluid for times when the glass won’t work. Pictured below: top, magnifying glass; middle, magnifying glass focused on a bundle of tinder; bottom, tinder igniting.